Dr. Meyerson has moved on to an engineering position at Google, Mountain View. He will no longer be teaching courses or advising students at UCLA. This page is defunct, but remains to provide access to publications and such. Dr. Meyerson's main research area is the design and analysis of algorithms. Major projects in the past included facility location and related clustering problems, the orienteering variant of traveling salesman, measurements of fairness in resource allocation problems and algorithms to approximately optimize such measures, and online energy-efficient scheduling and load-balancing. Currently Dr. Meyerson is working on improving ads quality at Google. Adam Meyerson received his PhD from Stanford University in Fall 2002, with a thesis on approximation algorithms for design of minimum-cost computer networks. He spent the 2002-2003 academic year as a postdoctoral fellow of the Center for Algorithmic Adaptation, Dissemination, and Integration (Aladdin) at Carnegie-Mellon University. He joined the faculty of UCLA in Fall of 2003. Major research results include the first constant approximation for buy-at-bulk network design, the first online algorithm for the facility location problem, and the first constant approximation for orienteering. Recently he has focused on randomized online algorithms, making substantial progress towards the randomized k-server conjecture, devising a randomized algorithm for online matching, and introducing a new model for time-sensitive dynamic online problems. 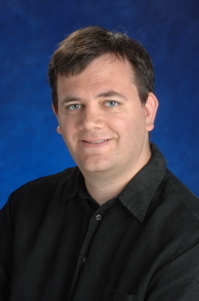 As of summer 2011, Adam has joined the engineering team at Google Mountain View. He is now working on improving ads quality. Graduates of UCLA's PhD program under Dr. Meyerson's supervision include: Douglas Carroll (PhD 2007, now at Netseer.com), Aaron Cote (PhD 2010, now a lecturer at USC), Gunes Ercal (PhD 2008, now an Assistant Professor at Southern Illinois University), Michael Shindler (PhD 2011, now an engineer at Hulu), and Brian Tagiku (PhD 2011, now an engineer at Google). Masters graduates include Tyler McHenry (MS 2008, now an engineer at Google), Laura Poplawski (MS 2006, now at BBN Technologies), and Corey Worrell (MS 2010, now an engineer at Western Digital). Dr. Meyerson also used to advise David Felber and Alan Roytman, but they have been traded to Prof. Ostrovsky.